Click here to see the full post in her blog. 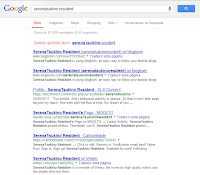 - Google your Second Life name in “quotations” and share your results. I searched in two ways, first I wrote my SL name without "Resident", and since my name is SerenaTsukino... of course the results were nothing related to me, but all about Sailor Moon (/facepalm). 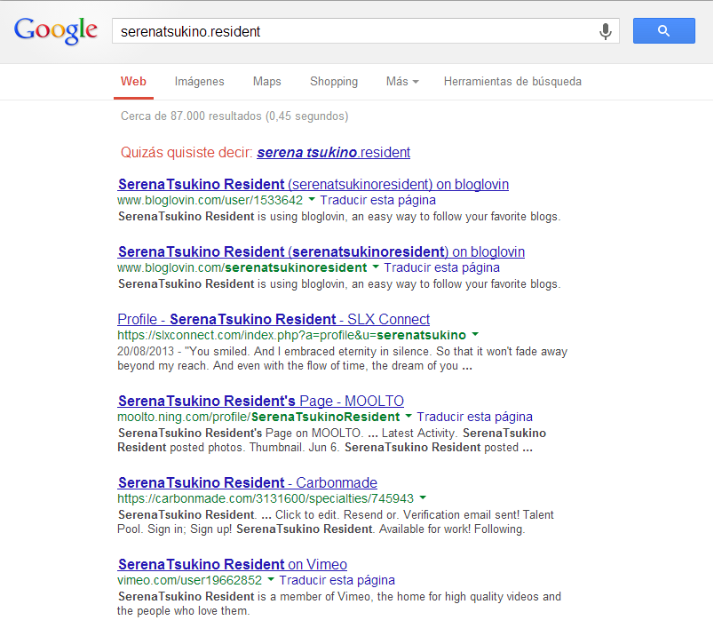 If I search using "SerenaTsukino.Resident" the results are about 87.000. - What is the first link that comes up? As you can see in the image, the results are links to my Bloglovin, SLX Connect, Moolto, and others. - Click on the “Image” tab and tell us where the first 5 pictures listed are from. The picture number 4 it's one I did not so long ago, and the last image is of course, Sailor Moon. haha. That's it... as every monday I really enjoyed to do this meme, especially when Hyde's picture appeared. lol. Thanks for reading and see you all in the next post.